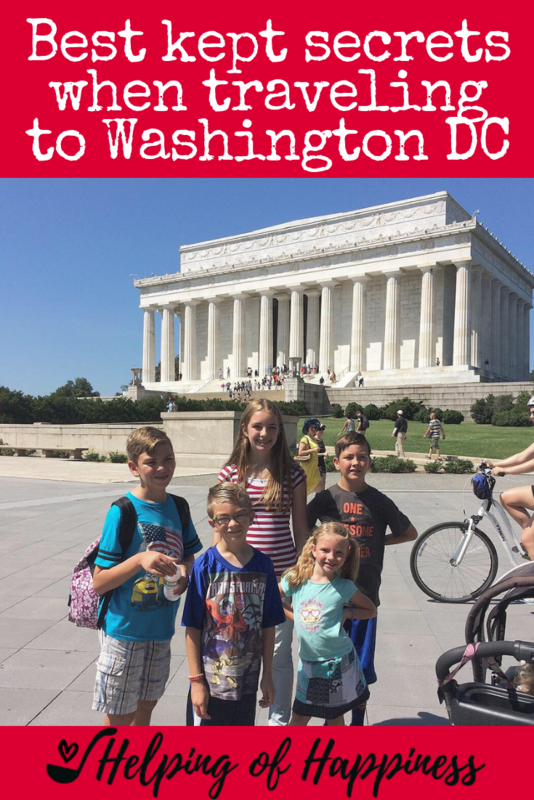 Our family trip to Washington DC was one of the most fabulous vacations we’ve taken. It was at the end of our East Coast Tour which also included visits to New York City (plus a day at the Statue of Liberty), Philadelphia, Susquehanna (PA- Priesthood Restoration Site), Kirtland (OH), and Niagra Falls. We had some great tips from friends, and learned a lot along the way. 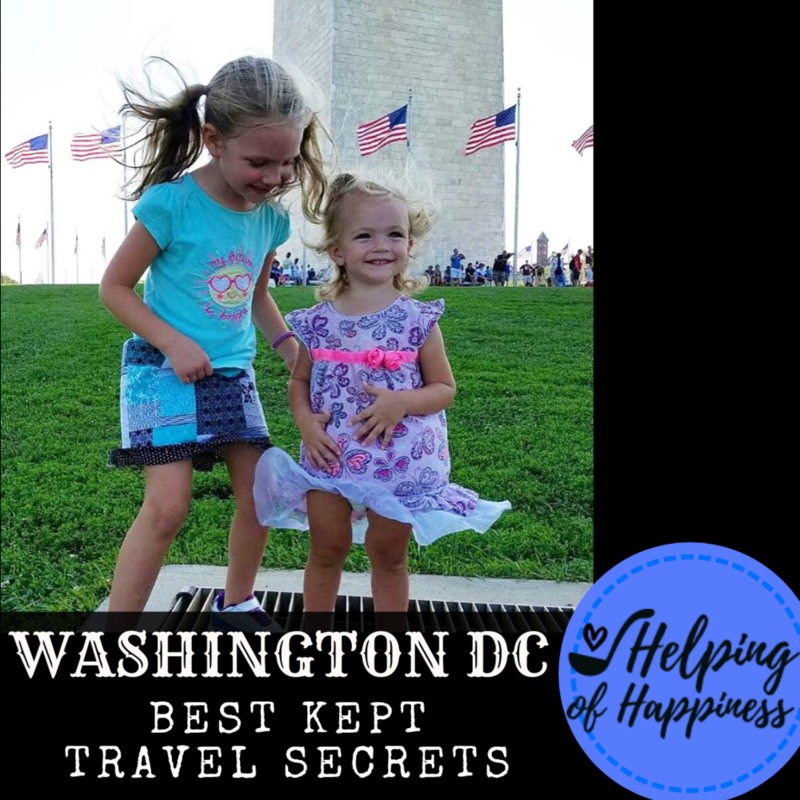 I hope these best kept secrets will help you have an amazing vacation as well. This saved us SO much money and TIME. It saved our tired swollen feet and was so convenient. Because there are so many millions of things to see and do in DC, that also equates tons of walking. Just walking around the National Mall (Now if you’re like me, you were confused by this term. It’s not a shopping mall, that’s what they call the long strip of government buildings and Smithsonians.) is miles and miles. There are lots of different tours you can pay for, or even take the metro or other public transportation. But the Circulator is completely FREE! When we went it was $! per person, but they have recently dropped the price completely and indefinitely. It circles the National Mall with a new bus every 10 minutes and stops everywhere you could want to go. You just hop on and off as needed to the different buildings and sites, and the bus stops are right next to where you need to go. 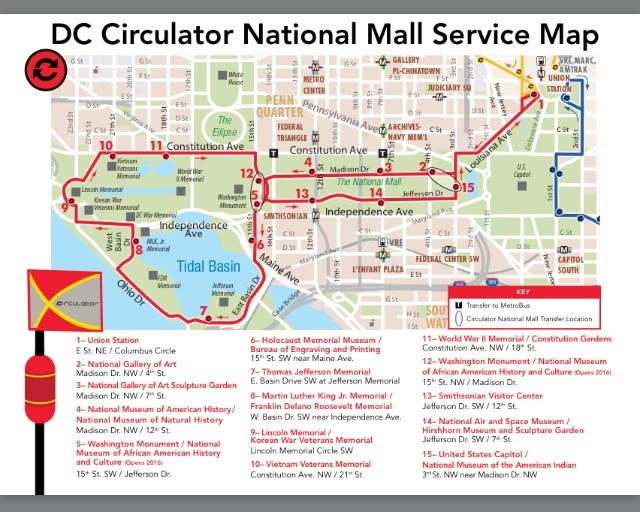 Now riding the Circulator is awesome, but if you are staying in Arlington, or another surrounding area, how do you get to the National Mall? We toyed with using the Metro, but it was a 15 minute walk from our hotel to the closest stop. Even with riding the Circulator, your feet are exhausted from walking around monuments and museums, so any bit we could save them helped. We considered a taxi, but we were transporting 8 people and really wanted access to our car. Having our car nearby meant we could keep a cooler with food in it for lunch, jackets or extra changes of clothes we didn’t want to have to lug around in backpacks, etc. So we decided we wanted to drive over to have our car conveniently close. We used this amazing online service called Spot Hero. Spot Hero is an online parking reservation company that tells you all the parking lots and how many spaces are available in those lots, how much the lots cost, and let you reserve your spot in the lot. It was awesome. We just booked our spot at night for the next day and didn’t worry about wasting time driving around town, aimlessly looking for parking. If you aren’t keen on packing your own lunch, or maybe you did, but you want to have dinner near by, eating dinner at Union Station is a great option. The Circulator bus goes there and it has tons of restaurants, shopping, Metro and Amtrak hubs. And the other awesome bonus- the architecture of that building is just stunning!! We ended up there one afternoon when we needed to give our legs a rest, and cool down from the heat and walking. Sadly we missed our opportunity see the inside of the White House because you have to apply for a background check at least 3 weeks in advance (up to 3 months in advance). You get your tickets through your representatives, the official website has all the information you need. The Capitol Building was incredible, and you can get advance tickets (recommended) if you like. They are very strict about what you can bring in. We were in a pickle because there are no storage lockers for your backpacks, etc, and we had plenty of gear- with the diaper needs, lunch and water. That was where this little tip saved us. We went over to our state representatives offices just across from the Capitol and they let us leave our stuff there while we took our tour. It was awesome. It was record breaking heat when we were there, and the representatives staff provided us with water, a place to sit down and rest for a little while, and candy for the kids. They were fantastic. There are so many amazing memorials there. Our top favorites were the Washington, Jefferson, and Lincoln. As far as the war memorials go, the Vietnam was very neat, but my ultimate favorite was the World War II Memorial. It is remarkable. I couldn’t help but be in tears when we were there. I couldn’t believe how many incredible museums and gardens were all over DC and dotting the National Mall. Our favorites were the Natural History Museum (the gems in there were incredible! 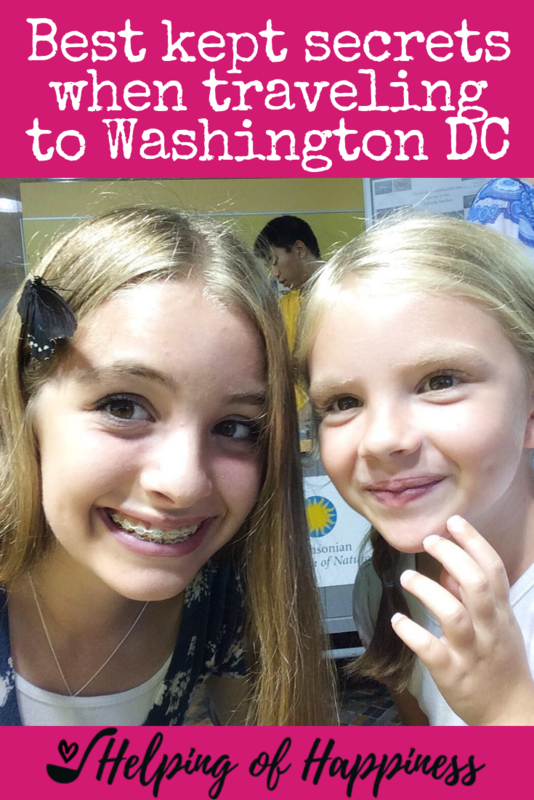 and my girls loved taking a tour of the butterfly garden), Air and Space Museum (a couple of my boys liked this one the best), American History Museum (this is the one with all the movie memorabilia, and the United States through the decades), and walking through the Smithsonian Gardens. Just one more quick note about the American History Museum. This was the most special place for me when we went into the “Old Glory” section where you see a very old and very large Star Spangled Banner. It’s a darker room to preserve it, the national anthem is playing and you can read the history as you walk through of the flag. I balled my eyes out in there. There was such a feeling of reverence and patriotism. I loved it. This was just the tip of the iceberg! 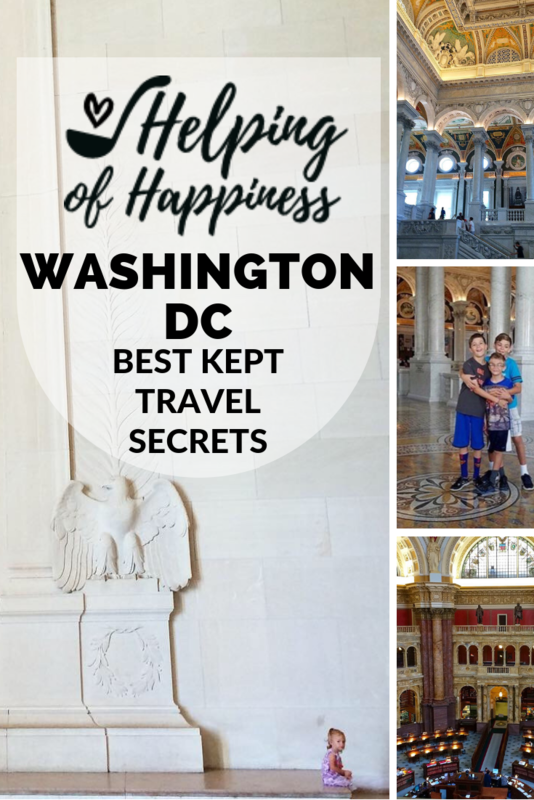 There are so many incredible sites like the Arlington Cemetery, Ford Theater, all the amazing buildings like the Library of Congress, and the Supreme Court. It’s amazing to be standing in such a place of history. I hope you have a great trip. Let me know all your tips and tricks! Pin this post for later! !